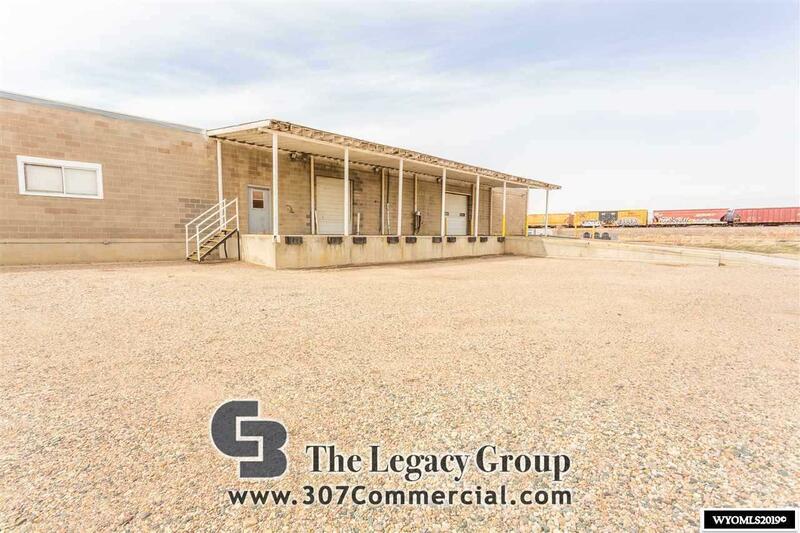 FOR LEASE: Commercial building with tons of warehouse space, 4 loading docks (2) 8x8, (1) 8x10, (1) 10x10 doors and on a rail spur Downtown Casper. Close to I-25, McKinley Street exit on over 1 acre fenced yard. 3 offices with new carpet and paint, reception area. $5,500/month Lease. Call Tanner Vivian (307) 267-1892 your personal tour. Listing information © 2019 Wyoming Multiple Listing Service. Listing provided courtesy of Coldwell Banker The Legacy Group.